Everyone may have his or her fifteen minutes, but there’s always a price to pay for fame. For brand owners, fame brings special challenges as it brings imitators, fans, and social commentary. This is the first in a series of posts about trademark law tools that are specific to famous marks. I recently moderated a Table Topic on famous and well-known trademarks at the INTA Trademark Administrators & Practitioners Meeting in Washington, DC. At the round table, practitioners from the U.S., Turkey, and South America discussed the importance to brands of protection of famous marks through a variety of means including the well-known marks doctrine. The well-known marks doctrine is an international trademark law concept under which a trademark (or service mark) is protected within a country even though the mark is not actually used or registered in that country, so long as that mark is well known there. Its primary basis is Article 6bis of the Paris Convention treaty, which the U.S. signed. Article 6bis provides that signatory countries will prohibit the use of a confusingly similar trademark to a mark that is well known in that country (and used on similar goods), even though the well-known mark is not registered or used in that country. But What About Use it or Lose it? Although the U.S. generally requires that a company use its marks in the U.S. to claim trademark protection, the well-known marks doctrine is an exception that general rule. Under the well-known marks doctrine, if a mark used only on products or services sold outside the U.S. is so famous that its reputation is well known in the U.S., then that mark should be legally recognized. If someone used a confusingly similar mark in the U.S., then the famous mark owner could successfully take action against the newcomer. Unfortunately, U.S. acceptance and application of the well-known marks doctrine is neither consistent nor uniform. Indeed, U.S. Courts of Appeals are split on the issue. The U.S. Court of Appeals for the Ninth Circuit applied the well-known marks doctrine when it held that a company that enjoyed great renown in Mexico for its GIGANTE grocery stores could prevent another company from operating GIGANTE stores in California. The Mexican company had no use in the U.S., but its cross-border renown was able to stop a third-party from using the GIGANTE mark for its rival grocery stores. In 2007 however, the U.S. Court of Appeals for the Second Circuit held in a case called ITC v. Punchgini, that, notwithstanding its treaty obligations, the U. S. did not implement the well-known marks doctrine in its federal trademark law. (Full disclosure: I represented the plaintiffs in the case.) The case involved a famous restaurant in India known as BUKHARA and its efforts to stop former employees from opening their own BUKHARA restaurant in New York City. The Second Circuit found, in reviewing the U.S. trademark law of the Lanham Act, no clear congressional intent to incorporate a famous marks exception into federal unfair competition law. The Second Circuit recognized that cogent policy arguments existed in favor of recognizing the well-known marks doctrine and that U.S. companies routinely prevailed upon countries outside the U.S. to protect their well-known marks. Nevertheless, it said that those arguments should be directed to Congress, not the court. The Second Circuit’s decision created a split of authority among the circuits. Many do not agree with the Second Circuit’s rationale, particularly in light of the fact that the U.S. routinely encourages its foreign partners to recognize the well-known marks doctrine to protect famous U.S. marks. Until the Supreme Court speaks or Congress acts, the circuit split means that claims under the well-known marks doctrine in U.S. Courts will be treated very differently depending on their geographic location. In 2005 the well-known STARBUCKS trademark had not been used on coffee shops in Russia. That year, an entrepreneur in Russia registered the STARBUCKS coffee trademark and logo and offered to sell the Russian rights to the U.S. owner of the mark for $600,000. Russian authorities ruled that the Russian registration was “pirated” and cancelled it at the behest of the U.S. owner. In 2005, Walt Disney Enterprises was successful in preventing an Iranian from registering in Iran MICKEY MOUSE (in Farsi) along with an image of the famous mouse. In 2014, as the U.S. maker of TESLA electric vehicles prepared to introduce its products to China, it found that a Chinese person registered the TESLA mark for autos in China in 2006, three years after Tesla’s first U.S. use in 2003. Chinese authorities invalidated the registration at the U.S. company’s request. Let’s say you need to prove your brand is famous under the well-known marks doctrine. 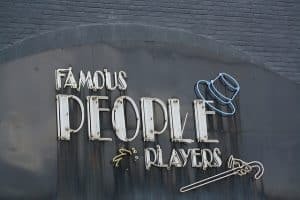 How famous is famous? In the U.S., the Ninth Circuit holds that a brand must be known to a “substantial percentage” of persons in the relevant American market. Important factors to consider are intentional copying by defendant and whether U.S. customers are likely to be confused into thinking that they are buying products or services coming from or affiliated or connected with the foreign owner of the mark. (6) Value associated with the mark. While the power of famous marks to use the well-known marks doctrine in the U.S. is up in the air, the power of famous marks is still protected under U.S. trademark dilution laws, which is the next topic in this series. Photo courtesy of Danielle Scott, used with permission under a creative commons license. Diapers vs. Malpractice – Which Smells Worse?